SoftPlanet makes it possible for everyone to get free Classic Shell download directly from our servers. There is no registration needed for downloading. Some of the lost features in Windows Vista, Windows 7 and Windows 8 are now available to you. 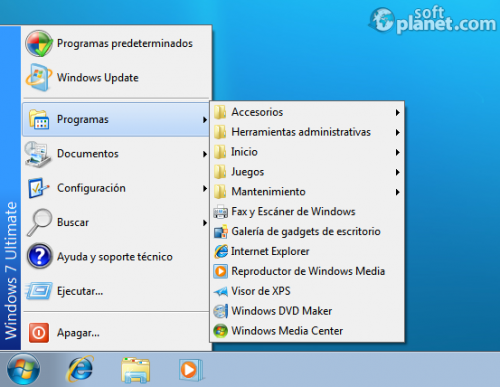 Classic Shell 4.2.1 adds the Classic Start Menu to the latest versions of Windows. It has a variety of advanced features. Classic Shell gives you back the convenience of the previous Windows versions and allows you to customize the Start Menu in both looks and functionality. All new operating systems meet resistance in the beginning. It takes time for users to get used to new features like the Modern UI Start screen. However removing the Start Menu is a step back for Microsoft, because instead of speeding up the workflow, they actually slow it down. It takes longer to switch between the screen rather than to open a menu. However I am not the only one, who has noticed this. Ivo Beltchev has developed Classic Shell in order to solve this issue and get back some of the very useful small features provided by previous Windows versions. The Classic Start Menu is available in 35 languages and can be easily customized. You can even apply a 3rd party skin for it. Classic Shell contains two more units – Classic Explorer and Classic IE9. These modules provide you with better control of the common operations. This tiny program gives back some of the very useful features, available in previous Windows versions (Windows XP and older versions). Classic Shell is a toolkit, which manages to “reduce the stress” of using Windows 7 and Windows 8. It is really awesome that we can have something well-known and something new at the same time. Our security scan shows that Classic Shell is clean from viruses. The current version of Classic Shell has been scanned by our system, which contains 46 different anti-virus algorithms. That ensures that Classic Shell 4.2.1 is 100% safe for your computer.